Operational improvements must address the challenge of evolving needs, threats and technologies. Recent war theatres have shown the increasing need for reduced weight and greater modularity, along with renewed requirement for protection and appropriate information for soldiers. Energy systems also must consider this need for improvements. Modern communication and optronics systems tend to always need more energy whereas soldiers are longing for more autonomy. Capitalizing on feedback from operations, innovation and experience since 1973, Bren-Tronics has always managed to offer the highest specific energy (> 200Wh/Kg) coupled with the highest safety and reliability of power solutions to soldiers on the field. Today, our unique 10.8V SMP® and 14.4V NETT+® rechargeable batteries offer the highest possible energy density (+212Wh/kg) to provide true wearable soldier power systems. 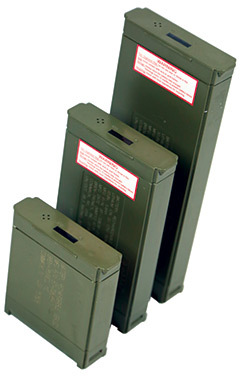 Especially designed to support soldiers in their mission, thousands of these batteries have been successfully field tested and used by NATO countries such as Germany and the Netherlands (IDZ and VOSS programs) since 2005. Bren-Tronics has developed a standard family of rechargeable battery packs offering various form factors and voltages but limited to about 15 different types. Standardization is the key for the logistic deployment of consumable products such as battery packs within the armed forces, but it is also the key to interoperability. Autonomy is an operational advantage, and light-weight Li-ion rechargeable batteries are the only available and mature technology that can maximize autonomy, not just for the warfighter, but also for armored vehicles during silent watch missions. Bren-Tronics anticipated the need for field recharging several years ago and is now able to provide a variety of chargers that can be tailored for one specific type of battery (e.g. 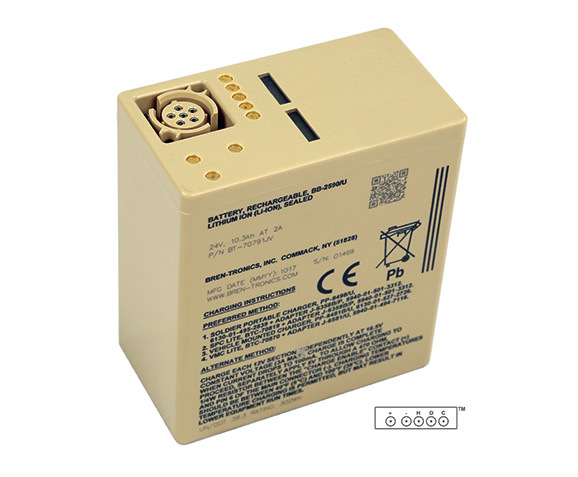 BB-2590 or Félin-type), or that can be used to recharge different types of batteries at the same time using solar energy (Flex-Charger). Each charger includes advanced features such as Solar Maximum Power Point Tracking, DC Vehicle capability coupled with simultaneous battery charging. Enabling and maintaining high performance in harsh environments is also Bren-Tronics’ expertise. The warfighter needs maximum energy performances at -40°C just like at 60°C and the challenge is to meet these requirements, while always guaranteeing safety and reliability. Even after years of experience, Bren-Tronics is always working to continuously improve protection circuitry, Li-Ion chemistry selection and mechanical integration focusing on lighter weight, colder temperature operation and/or higher discharge rate. As a conclusion, managed and safe energy solutions are an operational advantage if key factors such as standardization are considered for greater interoperability, higher autonomy and maximum performances in harsh environments. 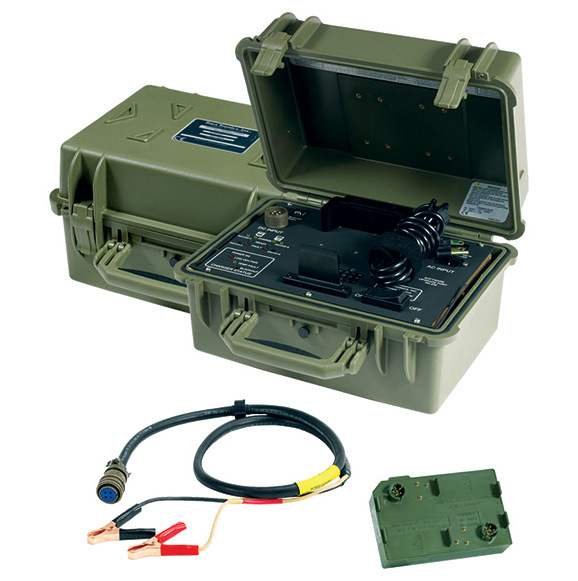 Bren-Tronics designs and manufactures military batteries, universal chargers and complete power systems. Our 45 years’ expertise to only serve the war fighter.